Our PILOTE SKIDS are not only intented to equip the R&D services of large agrifood groups. They are designed to be a production tool in their own right. They allow to create or improve recipes in an ultra compact environment, with a capacity of up to several hundred tons/year. Robert Bas’ PILOTE SKID consist of a wide range of equipment : tank(s) ranging from 100 to 500 L, helical agitation, scraping, powder dispersion system, etc. 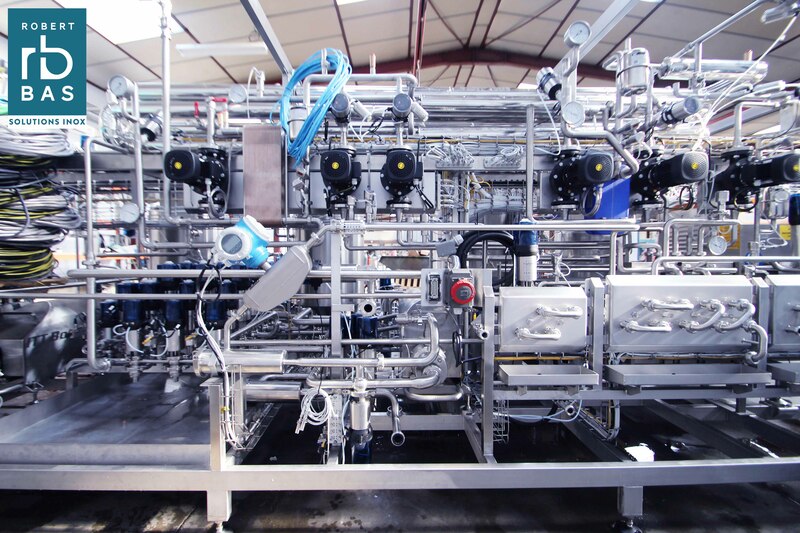 And several functions to use alone or combined : continuous or batch pasteurization, sterilization with aseptic execution, homogenization simple or double effect, etc. It is also possible to integrate a clean in place CIP station and to adapt to existing commercial equipment. In addition, its automatic program allows you to easily set up a recipe and make it evolve. 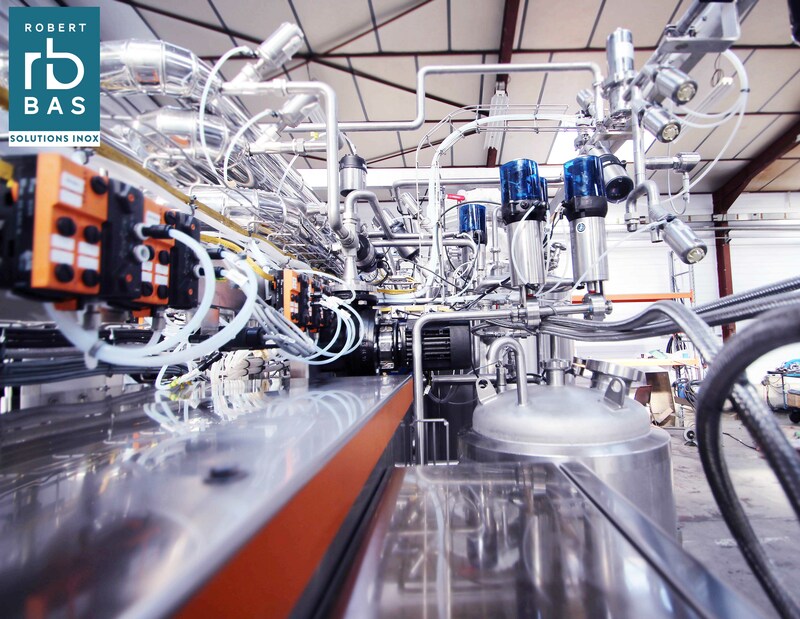 The PILOTE SKID project provides a better control of the manufacturing process of a product in order to deploy it on a large scale. With a compact design, its implementation is thus fast, and movable at will, special attention is given to the optimization of product losses. It is intended for various applications : ready meals, desserts, drinks, milk products, etc. We design, manufacture and test all equipment (piping, boilermarking, mechanization, automation) in our premises north of Lyon. Our teams are able to adapt to all requests, from the most generic to the most specific. 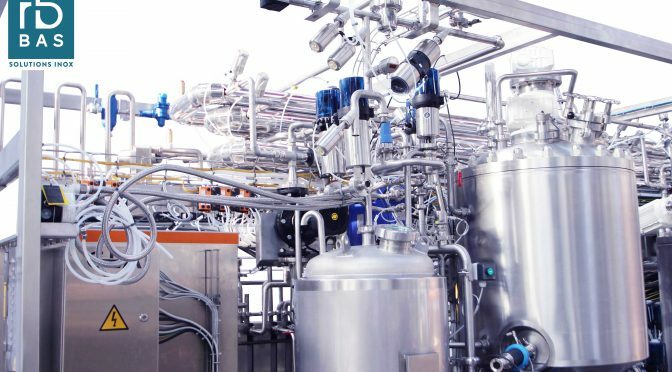 For 28 years, Robert Bas has commited with its clients by offering stainless steel solutions to meet the agri-food, pharmaceutical ans cosmetic industry needs. Thanks to its 35 employees, the company has acquired considerable technical expertise. Based on the mastery of the historical business and its 4500 m² workshop, Robert Bas‘ team integrates stainless steel process systems and custom-made equipment throughout France and internationally.